construction and working as the main developer with 100 percent and manufacturer until final production sample. 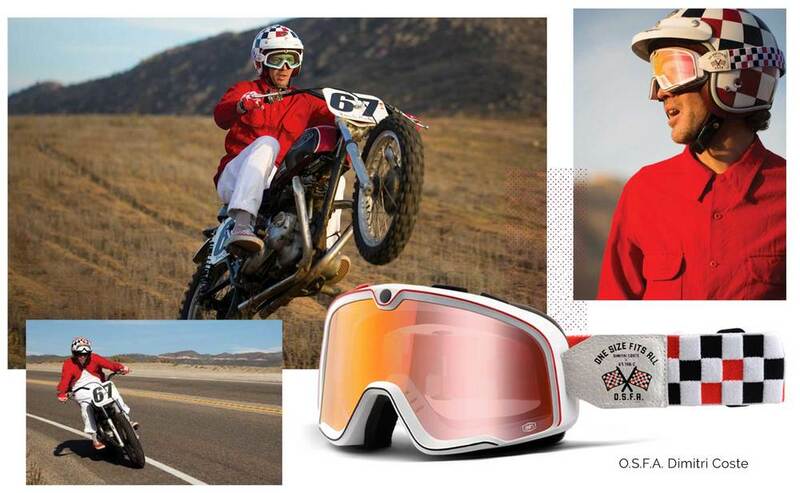 Most of the goggles have been tied to some iconic people that are involved into the culture of motorcycles. They might have achieved some recognition within motocross, photography, custom builders, artist etc. and they truly embrace and represent the 100% brand ideology and are therefore deserving of their own Barstow style.